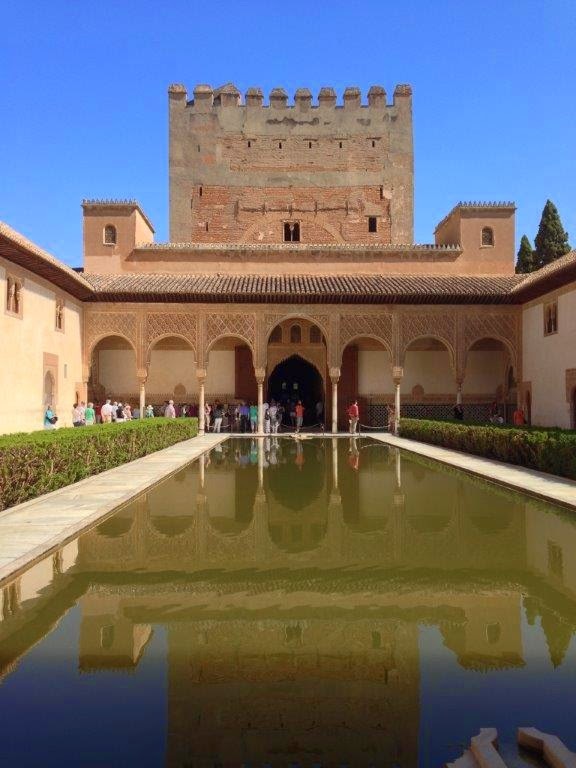 In a fitting and rewarding manner, our 2014 Tour of Andalusia came to a conclusion this morning with a guided tour of the Alhambra. Ignacio, our guide met us at the entrance (after our long uphill walk) and gave us an overview before we entered. 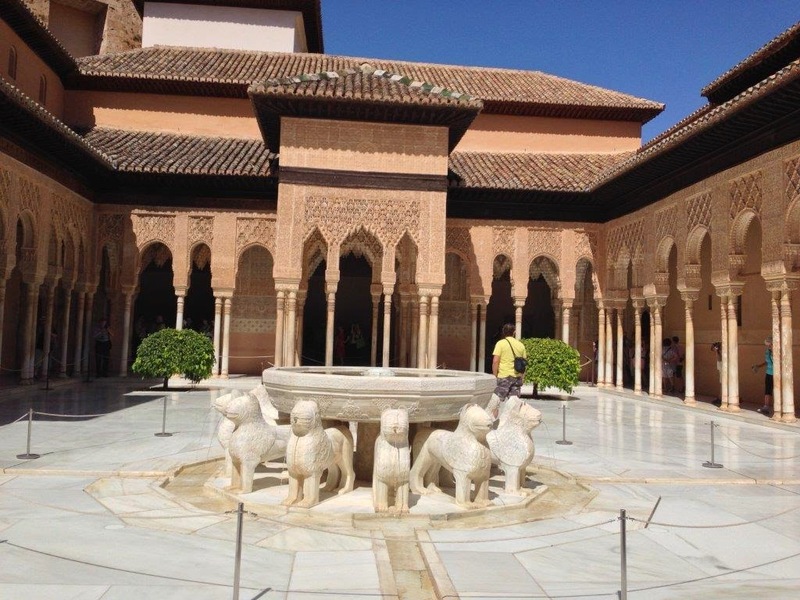 Construction of the Alhambra began in the year 1237. It remained the site of the palaces of the Nasarid dynasty (Muslim) until it was surrendered to the Catholic monarchs in 1492, following which it was expanded as more palaces and gardens were built. 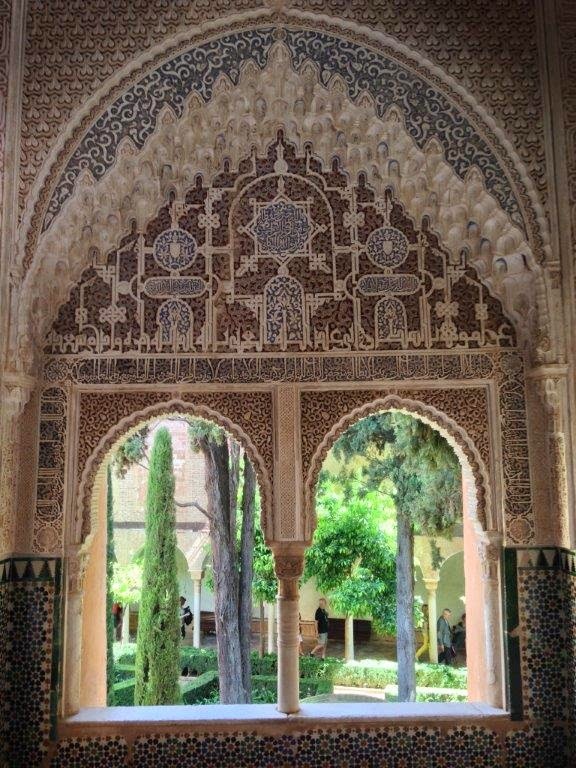 Much of the original Moorish architecture remains, however, and the splendor is awe-inspiring. 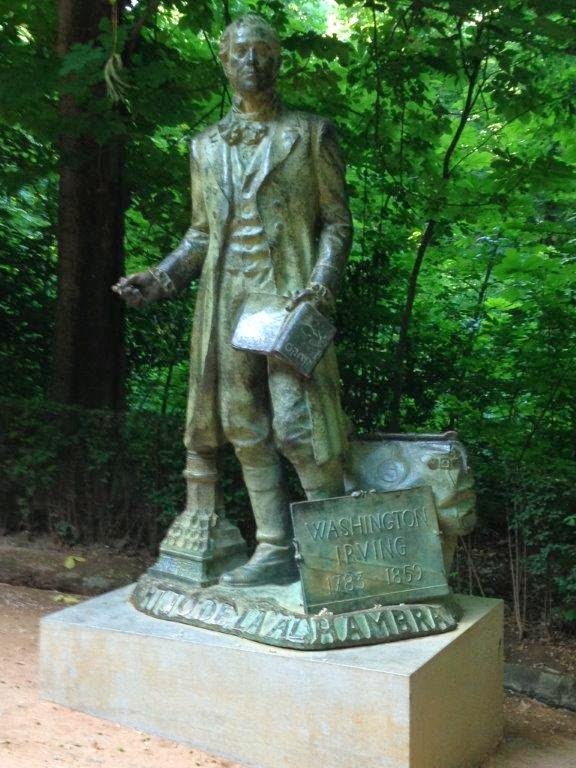 I had not realized that Washington Irving was in residence at the Alhambra for a while. I am now adding his “Tales of the Alhambra” to my reading list. Before the Alhambra visit, we had breakfast together and began our process of saying goodbye. Rick was the first to leave – he is driving the bikes back to ExperiencePlus headquarters in Italy. 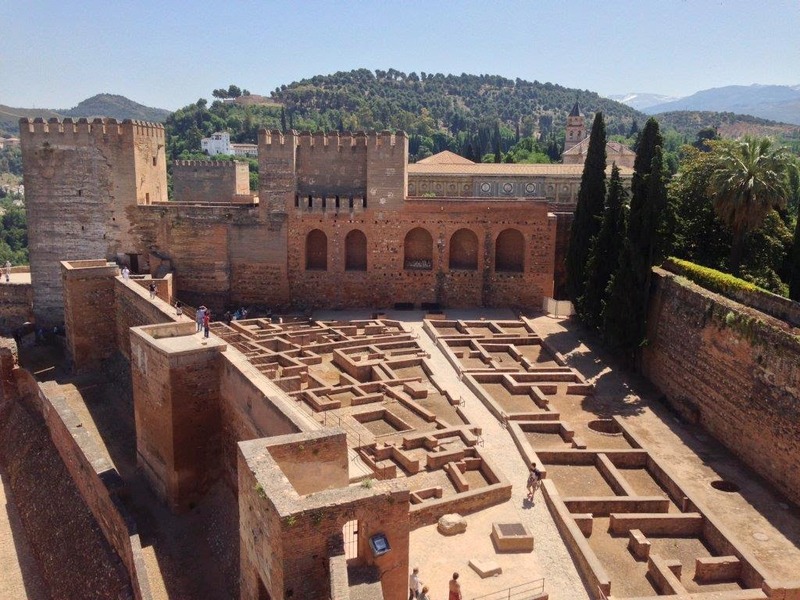 Kathleen and Manfred made complex arrangements to have their luggage picked up at the hotel and for the driver to meet them at the conclusion of the Alhambra visit. They will be back in New York this evening. Jane and Charlie are taking a train to Madrid tonight before flying on from there. Susan, Ron and I will fly from Granada to Madrid tomorrow (different flights) and on to San Francisco (again, different flights), arriving in the Bay area Wednesday evening. Philipp is reuniting with his family here in Granada before moving on to his next assignment. I had the pleasure of meeting his wife and two year old daughter yesterday afternoon. We were fortunate to have had good weather, although on the hot side, for the entire tour. The great company made it an especially fine tour – Thank you Philipp, Rick, Kathleen and Manfred, Jane and Charlie, Susan and Ron. I hope to ride with all of you again.